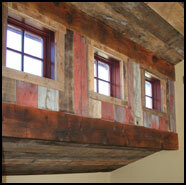 Cabin Creek Carpentry is a full service construction company suited to handle construction projects of all sizes. We offer the full range of building services designed for those wanting to build, add-on or remodel in Grand County. Please call for an appointment and let us show you some of our past projects and let you talk to Cabin Creek homeowners, for they are our best advertisement.